Australian brands are wasting billions on customer loyalty programs that don’t work and aren’t keeping up to speed with the demands of modern consumers, a new report claims. The report, Seeing beyond the loyalty illusion: It’s time you invest more wisely, was based on Accenture Strategy’s global pule research across more than 25,000 consumers globally including 1343 in Australia. It found more than half of Australian consumers have switched brand or providers in the past year, while 79 per cent are retracting loyalty more quickly than they did three years ago. 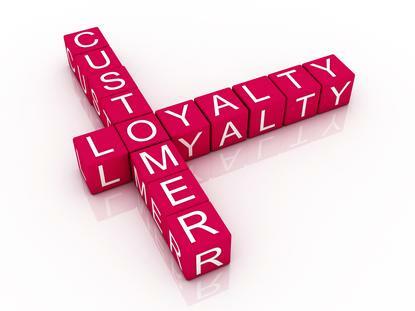 Globally, 71 per cent of respondents said current customer loyalty programs do not engender loyalty, and 23 per cent demonstrated a negative or non-existent reaction to loyalty efforts. But those brands who do loyalty right are winning. For example, 58 per cent of Australian consumers spend more with the brands they love, and 49 per cent will recommend brands or organisations to which they are loyal to family and friends. As a result, 26 per cent said brands should do everything possible to earn their loyalty. Based on the findings, the Accenture report outlines five key components to building customer loyalty in the modern age. Top of the list is ‘tokens of affection’, or providing personalised discounts, gift cards and special offers that reward a customer’s loyalty. According to the report, 56 per cent of Australian consumers feel loyal to brands that present such tokens to them. The second tip was ‘get to know me’. The report found 38 per cent of local consumers are loyal to brands that offer the opportunity to personalise products and gain access to something bespoke, while 46 per cent gave a big tick to brands communicating with them through their preferred channel of communication. In addition, 73 per cent felt more loyal to brands that are there when they needed them. However, by the same token, 81 per cent are more loyal to brands that safeguard and protect their privacy. Accenture’s third tip was ‘thrill seeker’, or providing an opportunity to co-create and collaboration on products and services. More than four in 10 local consumers said they are loyal to brands that engage them to help design or co-create products or services, while 36 per cent prefer brands offering new experiences, products or services. New technologies also made an appearance here, with 27 per cent of consumers saying they are loyal to brands that offer multi-sensory experiences, using new offering such as augmented and virtual reality. Fourth on the musts for brands was ‘If you like it, I like it’, or reflecting the consumer’s own personal preferences around celebrities, social influencers and close friends and family. For example, 17 per cent of Australian consumers said they are loyal to brands that partner with celebrities, and 34 per cent show loyalty to brands that actively support shared causes such as charities or public campaigns. Accenture’s fifth tip was ‘hook me up’, or giving consumers the ability to connect to other providers to exchange loyalty points or rewards. A recent report released by Nielsen also found consumers are more likely to return to a retailer if they have a strong customer loyalty program in place. More than half the Australian consumers surveyed (57 per cent) are more likely to return to a retailer with a loyalty program, and 48 per cent will spend more if they know they’re going to be rewarded.